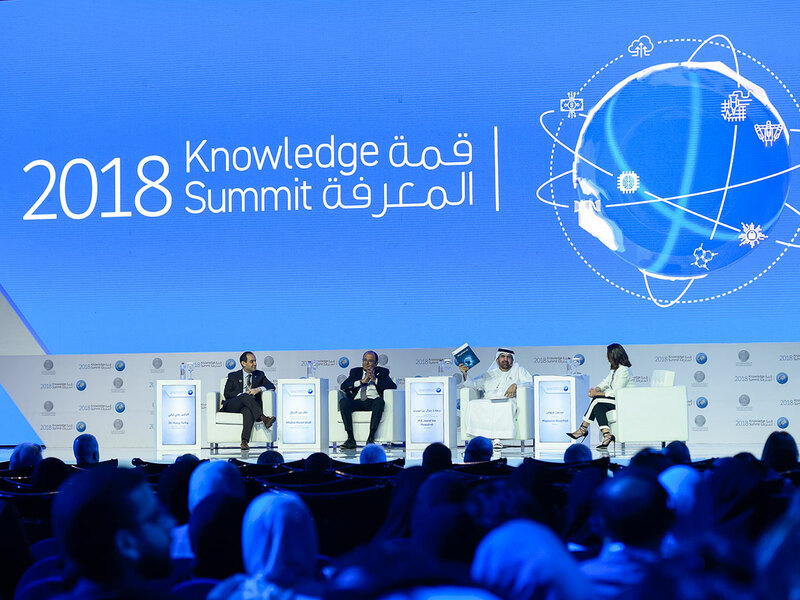 Dubai: The Knowledge Summit called upon Arab countries to bridge the knowledge gap between the region and the rest of the world. He said barring a few exceptions like the UAE, other countries have a lot of a catching up to do. 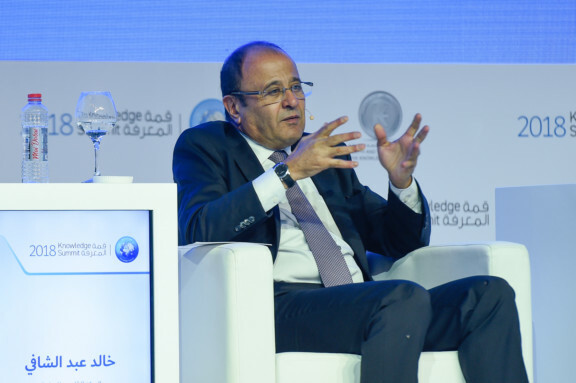 He thanked the UNDP for making the foundation a global partner, even as the release of the Future of Knowledge: A Foresight Report (see highlights) coincides with the 10th anniversary of the Knowledge for All project which seeks to shape a new vision for the 2030 agenda within and outside Arab states. Bin Huwaireb said the UAE and its Rulers have a long-term vision that has ensured the country’s phenomenal progress in a short span of time. “The illiteracy rate just 40 years ago was 99 per cent, but look where we are today,” he said, referring to the current less than one per cent rate. On the issue of research, development and innovation (RDI), the speakers admitted that there is much room for development. The UAE has been ranked 36 on the RDI score. A panel on utilising knowledge to improve health care focused on how artificial intelligence cannot replace doctors, but can only help make things more convenient, improve accessibility and provide more accurate diagnoses and treatment plans. It also touched upon the role of apps in providing convenience and speed, enabling patients to access medical records and prescriptions, in addition to reminding them to take medication and schedule follow-up visits, leading to faster and better recovery. The panel was moderated by Brig. Dr Ali Singel, director of Dubai Police Health Centre, and brought together Dr Reem Osman, CEO of Saudi German Hospital; Ziad Sankari, Founder of CardioDiagnostics; and Conor McCarthy, International Business Development Lead at Babylon Health. 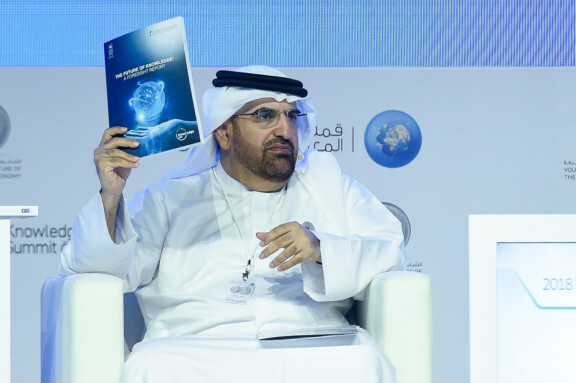 The knowledge economy will integrate with the digital economy to create a better future, but it is important that soft skills are not lost, according to a panel that discussed the role of youth and the future of the knowledge economy. 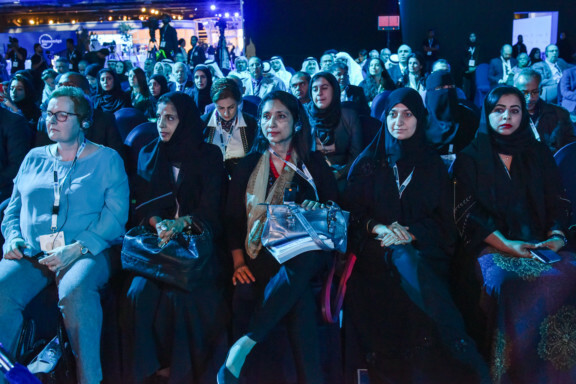 In attendance were Simon Galpin, managing director at Bahrain Economic Development Board; Ahmad Bin Ali, Senior vice-president, corporate communications at Etisalat Group; and Sarfaraz Alam, chairman of TEXPO group of companies. They said digital economy and the knowledge economy are converging, but at some point digitalisation could lead to the loss of certain jobs in the race to deliver services more efficiently and cost-effectively in the next decade.